With a beautiful private resort, organized activities, sunset partyboats, day stages and label showcases, Pratersauna’s first Lighthouse Festival has presented a new way of experiencing a relaxed music vacation, setting the bar high for everyone else at the same time. Iva Vukšić reports from the Croatian peninsula Lanterna. Having so many excellent locations and beaches, it’s no wonder the Croatian coast was proclaimed to be the new must-visit location for festival junkies. Hosting more than twenty electronic music festivals, this year’s summer season is probably the busiest so far. Every day from the end of May until mid-September one can greet those picturesque coastline sunrises accompanied by artists of their choice, regardless of personal music preferences. The season opening for year 2013 was claimed by the Austrian festival Lighthouse, which took place on the lovely Istiran peninsula Lanterna, approximately 10 kilometers outside the city of Poreč. Not only was Lighthouse the first big electronic music festival in this town, it was also the first one ever targeting a mostly German-speaking crowd rather than the Brits, who have been cooking their own soup for years now in Croatia. The whole Lighthouse concept was established by Vienna’s Pratersauna owners, deploying their own troops eager to get tan in that salty Istrian air. We at Electronic Beats didn’t miss the chance to join the festival and host some members of our music family inside our own special arena. We are currently entering the third year of our own festival in Croatia, and the concept of ‘electronic music on vacation’ (which is the motto of Lighthouse festival) just felt so tempting: three days and two nights of non-stop partying on five different stages, both closed and open air. The festival offered more than 50 acts to 1,000 visitors from Austria, Germany, Switzerland and Croatia. Not bad for a first year. Although days were mostly sunny, late afternoons and nights weren’t that generous to Lighthouse. 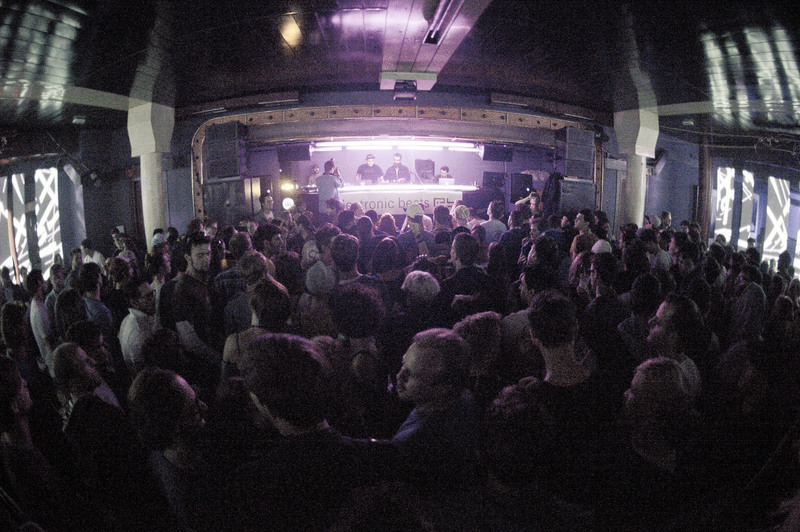 Because of the rainy weather, Saturday’s Modeselektor DJ set had to be transfered to Zodiak club, leaving behind a fully equipped, visualization ready but roofless Electronic Beats arena. It was kind of strange to see Gernot and Sebastian play inside this small DJ booth after festivals in Budapest and Poznan. But seeing is different from hearing, and the Berlin duo adjusted quickly with yet another impressive performance and flawless set. Hercules and Love Affair Soundsystem were a bit luckier with the weather, offering festival guests an escape into Andy Butler’s disco harbor alongside his voguing vocalists after the beach performance of tech house Kollektiv Turmstrasse. Both HALA and Modeselektor played in Croatia’s capital Zagreb in late 2012, so this was like a really nice reunion by the sea for us.